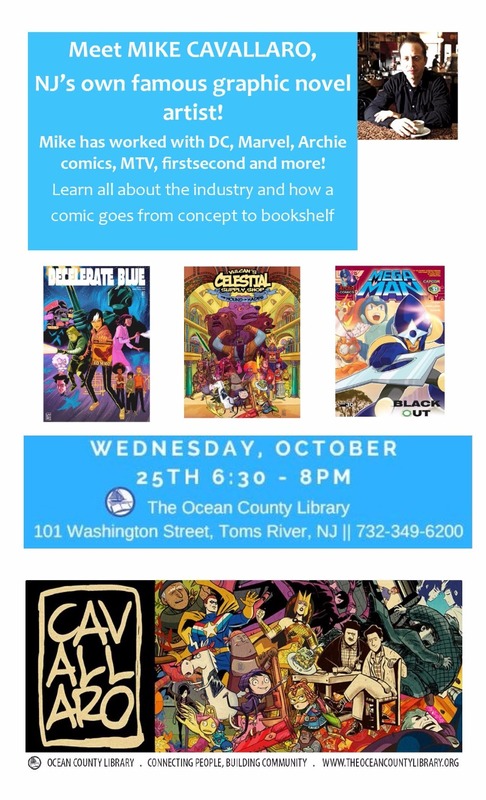 A must-see program especially for graphic novelists and comic book enthusiasts, "The Making of a Graphic Novel" will take place 6:30-8 p.m. Oct. 25 at Ocean County Library. The event is free and part of NEA Big Read programming. Mike Cavallaro, a New Jersey native, is an accomplished artist with more than 20 years of experience in comics and graphic novels, and has worked for DC Comics, MTV, Archie Comics, Warner Bros., Image, and most recently, First Second publishers in New York. During his program, Cavallaro will introduce the history of graphic novels, his creative process, and what it takes for a graphic novel to go from idea to the bookshelf today. Those interested can read more about Cavallaro at: http://www.mikecavallaro.com/. Registration for this free event is open and available here. In Station Eleven, the creation of the graphic novel and Dr. Eleven is a central plot line for the novel and reveals parallels between storylines. It speaks of art, loneliness, and re-creating the world.